When Natalia Bishop decided to hold a few pop-up classes in Lexington in June to test out the market, she didn't really know what to expect. Bishop is the owner and founder of Level Up Louisville, a business focused on creating pop-up classes for adult education. It took her a few months to get off the ground in Louisville, so she thought Lexington might be the same. But from the very first Lexington class, Bishop was floored by the interest. "They were so beyond my expectations on how well they were received," she said. She told me that the Lexington market is hungry for what Level Up offers, so she decided not to just hold occasional pop-ups there, but rather to fully expand the company into the market. "It’s been really exciting to see the community kind of craving" what Level Up offers, she said "Breaking into the Louisville market was a little harder because there's a lot to do in Louisville, but Lexington — they are hungry. (People) want to get out and do things together." Level Up, which launched in November, is gaining traction in Louisville, too. The business — which offers classes taught by local experts on things like flower arrangements, paint and craft cocktail making — has made four hires since the beginning of the year. Bishop said there is one full-time community development director, as well as three part-time employees who help to manage the classes and spread the word. "I think one of the biggest drivers has been that we are becoming more established in the community and people are starting to share and want to come" to Level Up events, Bishop said. At first it was just a few classes a week, but it's grown to 15 to 20 classes per month in Louisville. The goal is to ramp that up to about 30 monthly by next summer. Now, Bishop is in the process of recreating the Louisville model, but in Lexington. She's hiring a full-time community director for Lexington, after which she will bring on some part-timers to take over the market and start scheduling classes. She plans to start with six classes a week in Lexington, and then piece-by-piece ramp up to that 30-class monthly mark. The Lexington employees will operate out of a co-working space called Seventh and Lime. Because the model already exists, Bishop said she didn't have to make much of an investment to expand to Lexington. The only real expenses are the salaries of employees and the cost of renting the co-working space there. All of the Lexington employees will work under the Louisville community development director, as Bishop plans to keep the company headquartered in Louisville. She said there are future plans to expand into at least one other market by mid-2018, but she declined to give me more details until it's more certain. 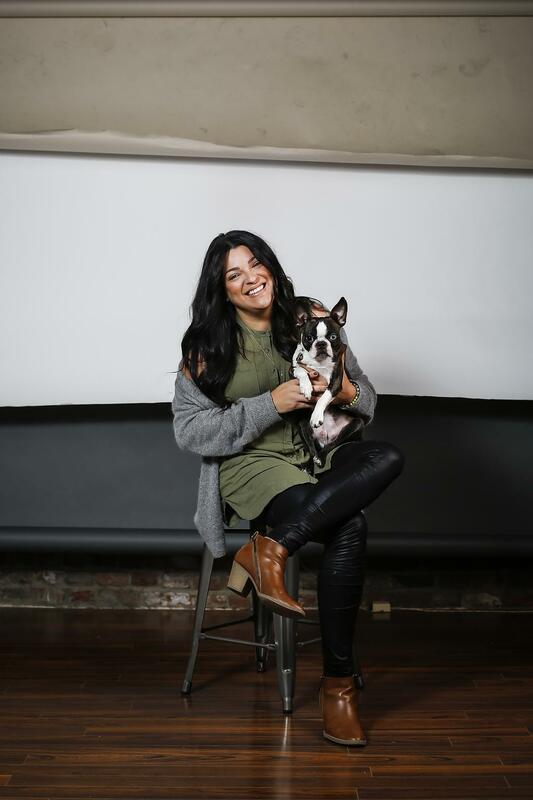 Bishop owns three businesses — Level Up, a membership-based co-working space for creatives called Story Louisville, and Chocolate Box Photography. All are moving out of space in Butchertown Market and into NuLu. The businesses will take 6,500 square feet in a second-floor office above Please & Thank You's original NuLu coffee shop at 800 E. Market St. The move will about triple the working space, Bishop said. She said this will give all of the companies the room they need to grow and expand.